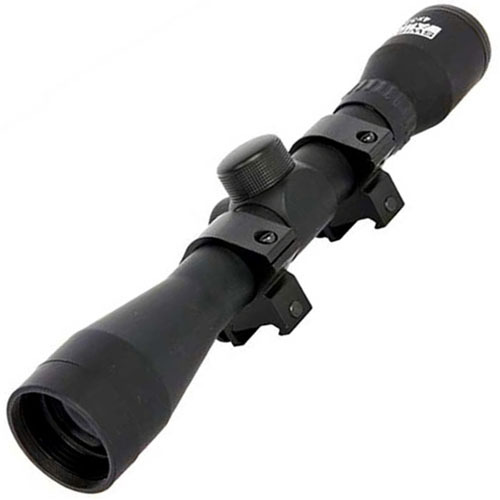 The Swiss Arms 4x32 Scope can be magnified 4x to help you get the best long range aim possible. The weaver/picatinny scope rings allow for easy attachment to a variety of rail types. A lens cover and a cleaning cloth ensure the scope stays clean and protected.